It’s January once again—another new year—2013! So, that means it’s time to think about January 2014! Businesses know as well as people how quickly a new year can arrive—along with the new obligations that go along with it. In this case, I’m talking about the Accessibility for Ontarians with Disabilities Act and multi-year accessibility plans to meet the requirements of the Integrated Accessibility Standards Regulation. Large organizations—those with 50 or more employees—must comply by 2014. Remember, the integrated regulation includes standards on information and communications, employment, transportation and the design of public spaces. Although an organization with fewer than 50 employees does not have to prepare a multi-year accessibility plan, it is a good practice to develop a multi-year plan so your organization has a clear strategy on how it intends to implement the requirements of the Integrated Regulation. 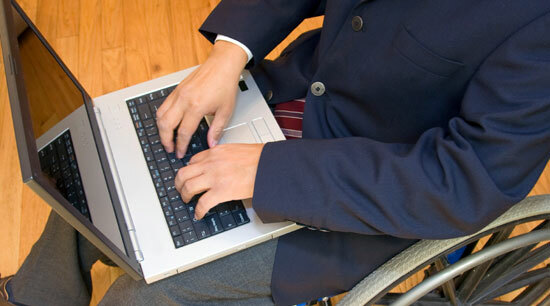 The regulation does not specify what the accessibility plan should contain, but there are guidelines for similar plans that employers can look to. Besides, other public sector organizations have already had to comply with this requirement, and we can use their work as examples. For instance, the Government of Ontario accessibility plan is available here. Once an organization understands the requirements, it is essential that they begin with an assessment of their current operating environment. The organization should review its practices and premises as broadly as possible in order to understand how best to alter or improve accessibility. The assessment will allow an organization to see how it currently treats persons with disabilities, where it fails and succeeds, and how it can do better. The assessment will also let the organization know how its existing operations compare with the standards, what areas need work and the amount of work that needs doing. It is crucial that the assessment include input from a wide range of people: employees, customers, accessibility experts, persons with disabilities—anyone who might use the organization’s products, services, facilities or public spaces. Once they have assessed their operations and understand what they need to do, organizations should draft their plan, keeping in mind when the specific requirements come into effect, and how long it will take the organization to implement each measure. That includes how you will address existing barriers to accessibility, how you will prevent barriers in the future, and how you will meet any other requirements of the regulation to achieve accessibility. Large organizations will be required to review and update their plans before January 2019. It will be imperative to keep track of all initiatives taken under the plan over that period in order to ensure compliance and reduce duplication. Ach—now we’re thinking of January 2019! Well, 2014 is less than a year away, and I know how fast last year passed, so it’s safe to say that it wouldn’t hurt to start on your multi-year accessibility plan right away. It’s also a good idea to communicate your efforts and progress to management, employees and the public, so they know what’s happening and can participate or offer input. Many employees may not understand the needs of persons with disabilities—they may not even understand the breadth of disability to which the AODA applies. Continuous communication will improve relations between the organization and employees as well as among employees. There are other advantages besides mere compliance and enhanced communication. A broad workplace assessment can expose numerous inefficiencies and problems not directly related to the subject of the assessment, and these may lead to general improvements. Let us know where you stand. Has your organization started to assess what it needs to do? Will you be ready for 2014?